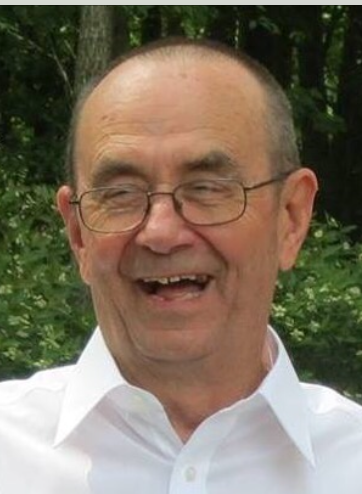 Malcolm H. Bailey Jr., 76 of Brookville, passed away on Tuesday, February 5, 2019 at the Jefferson Manor in Brookville. Malcolm was born February 25, 1942 in Oak Ridge, PA, the son of the late Malcolm H. Bailey Sr. and June Winifred Gerheim Bailey. He was a 1960 graduate of Redbank High School. On August 1, 1964 he married Linda L. McGuire in New Bethlehem. He was a member of the Methodist Church in Oak Ridge. He was employed as a foreman working for the Penn Central, ConRail, and Northfolk Southern Railroad until his retirement in 2002. Malcolm was a member of the Masons in New Bethlehem, the Coudersport Consistory, and the Brookville Eagles. His hobbies included gardening, tool leathering, and camping. In addition to his wife, he is survived by three sons, Terry "Suellen" Bailey of Brockway, Mike "Lisa" Bailey of Brockway, and Marc "Joey" Bailey of Brookville; two daughters, Jodie "James" Bloom of Grampian, and Brandi "Wayne" McConnaughey of Punxsutawney; a brother, Delwin "Lori" Bailey of Hawthorn; four sisters, Vickie Raybuck and companion Roger Nulph of Hawthorn, Lyda "Rayme" Guntrum of New Bethlehem, Shirley Snyder of Meadville, and Jane McGarrity of New Bethlehem; seventeen grandchildren, and eleven great-grandchildren. In addition to his parents, Malcolm was preceded in death by three brothers, Jimmy, Larry, and Irvan; three sisters, Barb DeLong, Frankie Carlson, and Winifred Brown; and one grandchild, Angel L. Bailey. Family and friends will be received on Saturday, February 9, 2019 from 11 AM to 1 PM at the Furlong Funeral Home, corner of Broad St. and First Ave. in Summerville. A memorial service will directly follow the visitation at 1 PM at the funeral home with Rev. Carol Brown of the Oak Ridge Methodist Church officiating. The family suggests memorial donations be made to the Alzheimer's Association.